January 3, 2012. The first “official” work day of the year. Millions of people have proclaimed that this year is going to be the year. This year, things are going to be different. This year, I’m going to get in shape. This year, I am going to make a difference. What is it about this day that makes it so special? Is it that people love fresh starts and new beginnings? Why is it that January is the busiest month at every gym and then in February, it’s back to normal? I think it’s because people love a challenge. Then as the “newness” wears off, they go back to normal. Here’s my challenge for you. Everyone has heard of the 80-20 rule. If you haven’t, this is where 20% of the people create 80% of the business. My challenge is to be part of the 20%. Don’t be the person that just gets by. Don’t be the person that is sooo busy that they can’t possibly take on any more business. Be a leader. Bring home the income you need. Don’t be lazy. Challenge yourself. Post your goals where you can see them every day. Adjust them as needed and make a difference. 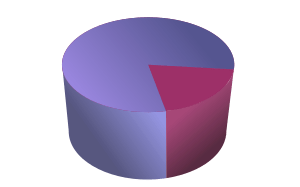 I am part of the 20%. I will not be lazy. I will and I can be better at what I do. Are you an 80 or are you a 20?